A small rice grain is the protagonist of the Mario Maratelli story and his discovery, which sees a Po Valley village starring at Italian tables. In fact, Maratelli rice starts its extraordinary journey from Asigliano Vercellese, being one of the varieties our housewives have appreciated most for fifty years. Starting from the first decades of the last century until the Seventies, Maratelli rice cultivation expanded and .spread at a national level. This adventure started a very long time ago, on November 20th 1879, when a child of unknown parents was born in Vercelli hospital. He was given a made-up name and surname, which seemed a tongue-twister: Mario Maratelli. Thanks to the intervention of the current social assistance, the newborn was moved to Vercelli Children’s Home, where he stayed for just few days, before being adopted by a family from Prarolo. Unfortunately, a serie of tragic events made his growing path difficult, in fact, Mario had been brought up by three different families before reaching Asigliano at last. In this small village, the child attends the local elementary school, and, once finished, he decides to join his uncle’s activity as a farmer. Through a public act, his foster mother, Ms Gilda Cirio, transfers the property inherited from her husband to Mario, so to demonstrate the love she feels for him. Her death hits her son deeply, and, over the following years, he will never leave the tomb of the woman who had warmly welcomed him into a new family without a flower or a tender thought. At the outbreak of World War I, Mario has to fulfill his duties towards his country. On his return, he marries Maria and, thanks to his hard farming labour, in 1923 he buys a bigger and more comfortable new farm for himself, his wife and their four children: Francesco, Maddalena, Andreina and Giovanni. The work on the new farm keeps increasing as alternative productions accompany the dominant rice cultivation, while milk selling places the whole family more and more in contact with the Asigliano Vercellese community, which can enjoy Maratelli’s honesty and generosity at the farm in Madonna Nera street. As a “true Asiglianese”, Mario is able to raise his own family in the respect of everybody, conquering the esteem and trust of his countrymen, and especially of the other cultivators, who for a few years elect him as president of the Cooperativa Agricola (i.e. the Farmers’ Cooperative). Due to his rough appearance, in particular because of the moustache which has characterized him since his youth, Mario seems a man of rustic and coarse manners, but underneath it all he has a big heart and, thanks to the help of his sweet and willing wife, he turns his home into a hospitable meeting place. At Maratelli’s, wayfarers and wanderers can find a shelter for the night. What’s more, anyone knocking at the farm door can receive comfort, help and refreshment at any time of the day. The stable and the farmyard are the main reference points for the whole community. During the long winter nights going to the stable becomes an indispensable social appointment even for the women, men and children not living in Madonna Nera street. During the day, on the other hand, the farmyard livens up with a lot of people, and mostly with Mario’s friends, who feel they are bound to him as if they were members of his own family. Everybody is involved in the manual work and together they perform the threshing and cleaning of the paddy. In 1914, in an environment based on the hard work of the land and on daily sacrifices, after a careful observation in his rice field, Mario Maratelli recognizes a plant which differs from the Chinese Originario, the variety he usually cultivates. It is a particular species which has a higher number of grains and longer panicles. Besides, at sight it seems that its colour is more intense: it appears more mature than the others and already ready for harvesting. Therefore, Mario collects the small plant and keeps its seeds for the following year. After being grown on small rice fields for a few years, the Maratelli variety is then cultivated on wider and wider surfaces, until it covers whole fields and obtains a production which always confirms the excellent qualities previously reported. Actually we are in the presence of a STABLE rice genotype, which maintains its features steadily. From the beginning, the new variety stands out for its early ripening, which enables to collect it in advance, granting competitive advantage since it is offered on the market before the other varieties, at reaches earlier the kitchens earlier, where it is already in great demand. Actually, when preparing typical Piedmont recipes such as panissa, risottos and rice soups, the recently discovered grains prove to be tasteful and of high quality, staying firm after cooking and blending perfectly with all the other ingredients needed to prepare these dishes. In the light of the good results, the other rice cultivators in Asigliano also start to experiment the new cultivation, getting full satisfaction. 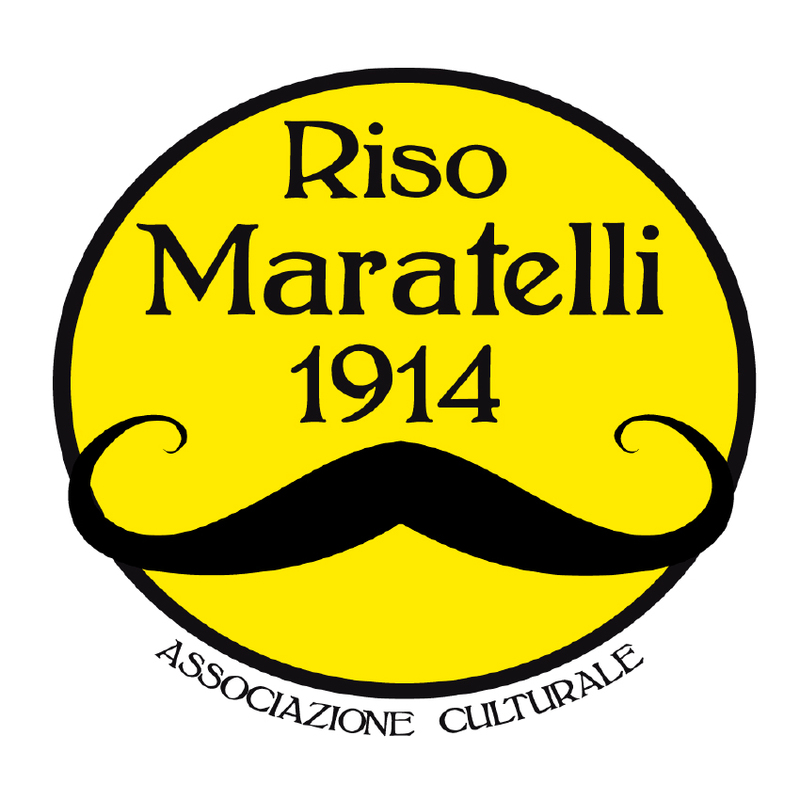 Afterwards, thanks to the Vercelli valley climate and favourable grounds, the new rice keeps spreading year after year, so that by then it is necessary to give it a name and a precise identity: finally in 1921 Maratelli is registered in the Registro Nazionale delle Varietà (i.e. National Register of Varieties) as a Semifino rice, and in 1970 it covers 8% of Italian rice-cultivated fields and is one of the most appreciated varieties also in Lombardy and Switzerland. Unfortunately, during the Seventies the Maratelli story changes drastically. The plant cannot bear the increasing use of chemical pesticides over manual weeding. Besides, traditional cultivation is replaced by mechanical techniques due to their rapid effects and lower costs, which, however, highlight the natural boundaries of the Maratelli variety and cause its impoverishment. In the early Eighties this rice disappears since it is not up to date anymore. In the second millennium only nostalgia and the wish of keeping traditions alive lead a rice cultivator to still cultivate it. Recently, new studies and researches are using Maratelli in the biological field. The rediscovery of natural products and quality research could write a new beautiful page of the story of this extraordinary variety, making it live again, as a protagonist of the modern recipes cooked by the most demanding housewives.